On August 21, 2017, millions of people across the United States will look to the skies to see nature’s most wondrous spectacle—a total eclipse of the Sun. It’s a once-in-a-lifetime opportunity that will not happen in America again for another 300 years! Interest in this rare astrological event will soon be at fever pitch, and this special AMG/Parade guide will answer all the essential questions such as where best to see it, how to safely watch it and even how to photograph it. 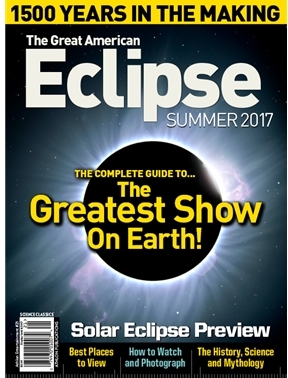 Additionally, this must-have souvenir will explore the history, science and myths of total eclipses through the ages. The Great American Eclipse of 2017 is not to be missed, and neither is this fascinating special edition.